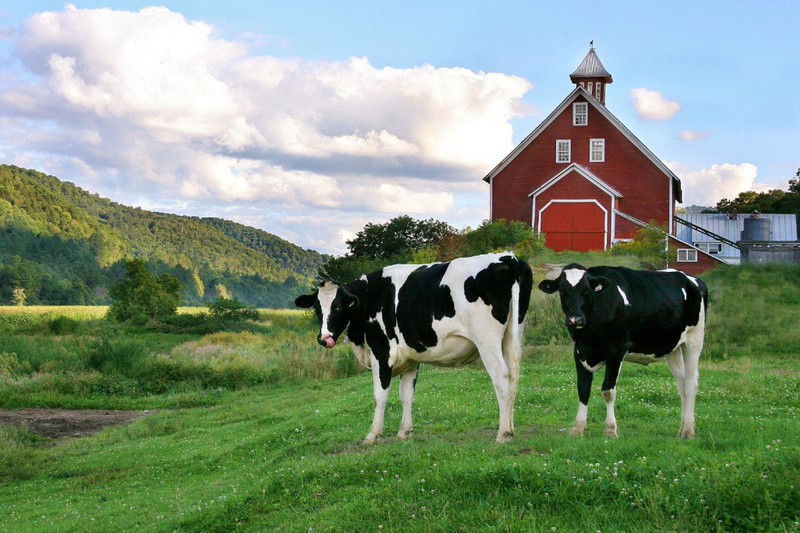 At Liberty Hill Farm, we welcome you to experience a unique Vermont farm vacation! We milk 100 Holsteins cows, producing milk for the Cabot Creamery Cooperative. 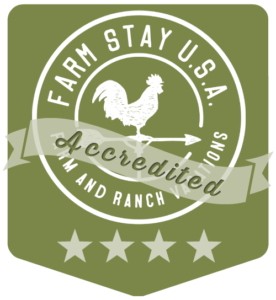 Liberty Hill Farm has been awarded Yankee Magazine’s “Best of New England” Editors’ Choice Award in their 2016 Travel Guide to New England; in addition to Bloomberg Business Week’s Top 7 Farmstays in the World in 2015! Stay in one of the seven guest rooms in our farm house. Start your day with a bountiful country breakfast and end it with a homemade, sit-down meal around the dining room table. In between, there are lots of chores to tackle if you wish and places to explore. Kids can cuddle the barn kittens, collect eggs, chase chickens and feed newborn calves. In summer, guests roll inner tubes down the road to the White River for a leisurely float down to our ‘beach’, or walk past fields of corn and wildflowers. In winter, miles of cross-country trails start right out our front door, surrounded by the splendor of the Green Mountain National Forest. 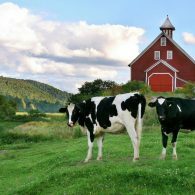 Liberty Hill Farm is only a short drive to many of Vermont’s most charming villages and ski areas, including Rochester, Brandon, Woodstock, Quechee and Middlebury, as well as the Killington and the Sugarbush ski areas. Every day is different on a farm. One day, we might be haying, the next day delivering calves. But some things are constant… the gentle lowing of our cows; the warble of frogs awakened by spring; fresh air and delicious, home-cooked meals; the twice-daily milking of cows; the discovery of newborn kittens in the hayloft and wildflowers in the fields; the gobble of wild turkeys and the gentle murmur of the White River; chasing fireflies in summer; hiking in the woods or cross-country skiing right out the backdoor onto rolling meadows; watching stars dance in the vast night sky; making new friends…and making plans to return yet another year or another season. By sharing the joys and challenges of farming life, we have seen our guests come to appreciate how closely our different ways of life intertwine. Each time a guest buys a product from an independent farm, whether cheese in the grocery store or fresh produce at a farmer’s market, they help sustain family farms. Special Instructions: 5 Rooms: Each have queen beds. 2 rooms have single beds. 4 shared baths. Cots and cribs available at no charge. Call or email for more information. Instructions: Evening's dinner and full breakfast included. Instructions: Evening's dinner and full breakfast included. Children under 2 are free.